Range: 500 gm to 1kg. Augor Driver Motor: 1 H.P., 3 Phase, 415 V A.C.
- Power : ¼ HP, single Phase, 230 V.
Filling Range (g/ml): Up to 50 ml. Filling Range: Up to 50 ml. No. of Tracks: Single track. Sealing Type: 4 – Sided sealing. 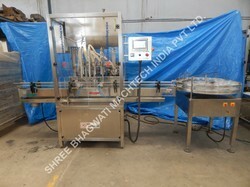 Machine packing speed: Approx. 30- 35 sachets per minute per track. 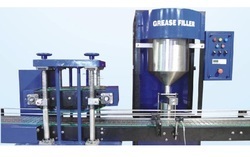 The Grease Filling Machine provided by us is known for its high speed operation. It is known for its efficiency.